For me, the hardest part about learning to save was changing my relationship with money. I understood intellectually that I needed to spend less than I earned, and I could see the debt accumulating as I spent, but money management isn't just about knowing the math. It's mostly about knowing yourself. It's about building self-discipline, and about learning to see money in new ways. Pursue short-term saving goals. While saving for retirement may be the ultimate goal, it's not always a motivational one. Break long-term goals into chunks. Find saving goals that can be completed in just a few years. Don't save in pursuit of vague and general goals — save in pursuit of a particular change to enhance your life. Make savings matter by setting money aside for lots of specific little things throughout the course of your lifetime. You're not just saving to be able to do what you want at the end of your life, but to also to be able to do the things you want today. Don't pay yourself first. Instead, pay yourself last. 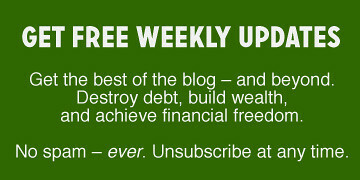 This recommendation sets a sacred personal-finance mantra on its ear. Bennett says that thinking of savings as something that must be endured makes it seem like eating your least-favorite vegetable. “Pay yourself first” might be a good way to start saving, but to really make it effective, you must learn to see saving as fun. You need to pay yourself last — and often. Reduce your spending so there's as much as possible left to save. Translate dollars spent into the hours you worked to earn those dollars. This is straight from Your Money or Your Life. Time literally is money. Each dollar in your paycheck represents some amount of time it took for you to earn it. (And it's not just your hourly wage.) Figure out how much time a dollar is actually worth to you, and you can begin to see your expenses in a whole new light. Is that new digital camera really worth a week at the office? Include income tax when determining how much it costs to buy things. Benjamin Franklin was wrong when he said “a penny saved is a penny earned”. When you consider taxes, a penny saved is usually closer to a penny-and-a-half earned. You have to earn $300 pre-tax to afford the $200 post-tax you need for an iPod. Mentally accounting for the income tax on the money you earn can help prevent you from spending it! Use the multiply-by-25 rule to determine how much it takes to finance “for life” each of your spending categories. This one's a little esoteric. We haven't talked much about early retirement and “safe withdrawal rates” yet at Get Rich Slowly, but roughly it's assumed that a person can pull about 4% from saved assets each year without depleting them. For every $1000 you invest, you can theoretically withdraw $40 per year (which is 4%, or 1/25th) without touching your starting capital. So, if you spend $40/year on a newspaper subscription, $1000 in savings pays for that subscription for the rest of your life. Remember that you only have a limited amount of income available for saving; when you spend this money, you're depriving yourself of future freedom. Don't think of the money you spend as a percentage of your total income. Think of it instead as a percentage of your potential savings. If you buy one videogame a month, it might only be 2% of your take-home pay, but it could very well represent 25% of your potential savings. I often say that money is more about mind than it is about math. These tips are excellent examples. While some of them do include some arithmetic, they all address psychology. For more on these money-saving tips (and for other interesting articles), visit the Passion Saving web site. There are 65 reader responses to "10 Unconventional Money-Saving Tips". Sorry, but I just totally disagree with not paying yourself first. If you don’t do it then who will? I and my husband have our retirement taken out A.S.A.P. and then we use the rest for bills etc. It’s really againest what alot of other financial experts may say. I have to Agree with Christine on paying yourself first. It’s not about fun, it’s about doing the needful. If saving was fun, there wouldn’t be so many blogs and advisers writing articles about how to save! People would do it simple because it felt good. The point is not to make saving fun but to put a plan in place and make it automatic so you can’t screw it up by failing to have enough left over at the end of the month to save. I agree with you guys. To me, it doesn’t seem like a chore or like eating my vegetables to pay myself first. To me, it’s a way to Get The Job Done. Bennett may be right that *some* people would do better to pay themselves last, but for me, paying myself first *and* last works best. I can see the logic in paying yourself last. I have trouble budgeting, and spending during university is often sporadic for me – It seems like monitoring yourself during the ongoing would make it easier to decide how much to put away after the fact, because you saved more all along. Forgive me if I’ve missed the point on this one. I look at paying yourself first vs. last not as an either or, but a combination. Say you budget yourself $200 a month for groceries and $200 for your next savings goal. Now, if you only pay yourself first you will always save that $200 and that’s that. But if your mindset is also to pay yourself last you’ll try to make cuts throughout the month, and only spend $175. Then you pay yourself last, saving an extra $25. That way it can be fun trying to save money in various places throughout the month giving yourself more to save. No, Jack, I think you got the point exactly. And I think that for you, it would make sense to “pay yourself last”. I think the important thing is for each of us to pay yourselves somehow — first, last, in the middle. It doesn’t matter, as long as we find a way that lets us save. Focus on $100000? Yikes! I’m still focusing on saving the first $10000 (though I’m at $8700 as of tomorrow–I’ll probably get to $10k before the end of the year). I think that the most important note from the article has to do with the “intensity” piece. Regardless of your goals, if there is no intensity and a constant drive to reach them then the rest is lost. Think about the thing that you want most in life and the amount of times that you think about it during the average day. Now, figure out what your motivator is for that goal and focus on that motivating factor to help drive intensity. For example: If I owe $160,000 on my mortgage adn have no other debt, my goal may be to become completely debt free by 2014. How badly I want to pay off my mortgage will depend on the benefit that I foresee and that will fuel how intensely I pay off that debt based on what I am willing to give up in my current lifestyle in order to further reduce the mortgage. I “pay myself first” (401(k) payroll deduction) precisely because I can’t get all that excited about saving for retirement–if I were consciously thinking every month, “OK, I’ll forego spending several hundred dollars I could be spending on an iPhone now so I can spend it on prescription drug copays and Depends in thirty-five years” I wouldn’t do it. Good heavens! Like a number of you, $100K is an enormously overwhelming number to me. We only have $1000 in our emergency savings account right now, but I have my sights set on a three month’s expenses goal right now, which is a little less than $10K. That’s a more manageable goal for me. Also, I always think of purchases in hours spent at work to buy it. I also only use my take home dollars not gross. When I talk with other people about money/income I always quote my numbers in take home, after tax, 401k, medicare and insurance. I wonder how many others think this way? I’m still working on my first $100,000, I keep almost getting there, then the market slumps – GRRRRR. I like to pay myself first and last. I have a set amount that is transferred to my various savings accounts & retirement at the beginnig of the month, then at the end of the month I transfer all the leftovers into my emergency fund and vacations funds. This encourages me to save throughout the month so I can have the most money possible left over for fueling future vacations & peace of mind. Paying yourself first becomes fun real quick. When you purchase something during the week, you know you can afford it, because you’ve already put your savings away at the BEGINNING of the week. It’s easy to see the benefits in that. But yeah, you should always limit your spending, pay yourself first, then pay yourself again with the money that’s left over. Actually, we try to pay ourselves first AND last. We make all our regular savings contributions early in the month, but then try to come in under our budgeted amounts for various spending categories throughout the month. Anything left at the end of the month is then swept into savings as an additional boost. I’m with J.D.–it’s the first $10k hurdle we can’t quite clear (and stay there). Something always comes along to knock us down a couple grand just when we’re getting close. When I was reading the article on “Learning to Give” (http://www.getrichslowly.org/blog/2008/10/15/learning-to-give-what-i-can-do-to-fight-world-poverty/), I was mentally comparing our finances to J.D.’s as he summed up his financial state: $10k for emergencies (yup, us too), no debt (same here), and — here’s the one that got me, later on in the article — putting away over $1,000 every month in savings. I thought, “Wow. I don’t know when we’ll be able to do that.” Then I stopped, and realized that that is probably a number of different savings goals added up. We save for a number of different things, too. “I wonder how much we save in total.” I added it up, and sure enough, retirement + car replacement fund + general savings + kids’ college fund, etc. ? $1,000. Neat! This certainly illustrates the power of tips #1 & #2. I don’t like to think about how many hours worked for an item I want to buy because it makes the item seem too cheap. IF I make 30 dollars an hour and take home 20, ten hours of work seems pretty cheap for a 200 dollar ipod for example. A better way to think about it is to subtract fixed expenses from pay first. If my fixed expenses (car, house, insurance, food etc)consume 80 percent of my pay then I really only have 4 dollars per hour to put toward my Ipod and it will cost 50hours of work..a big difference. I like the idea of breaking things into smaller goals. We’re aiming our whole financial picture at semi-retiring early, but that just seems overwhelming. Breaking it into smaller pieces that we can save toward really helps. We’re starting with $16,000 in an emergency fund. We’re about halfway there! So today I released my first ebook “Make Money Commenting” which is my first step towards this. It releates to finances because I am selling this book for $7. I have made my first sale which I am very excited about. This is Rob from http://www.PassionSaving.com. Thanks for bringing some attention to the article, J.D. And thanks to all for the good discussion. This isn’t the first time I have had people react negatively to the idea of not paying yourself first. It strikes people as strange advice given that so few save effectively today and most of those who do follow the Pay Yourself First concept. I certainly don’t deny that many people swear by it and that it has done good things for many. My aim in encouraging people to think about it from a different direction is to get people to reassess how they feel about saving. To me, saving is freedom. Just about everyone agrees in theory. Why, then, is saving such a hard sell? We all want more freedom. Why do so many not save? I see it as a perception problem. I feel that saving is marketed very poorly. It is seen as a chore, this boring thing you have to do even though you don’t want to. I’m trying to pull the focus to the positive side of saving. It doesn’t need to be something you force yourself to do. Saving really does bring great life enhancements. It can sell itself if we get out of the habit of thinking of it as a chore. Like John, JW, and others, I like the idea of paying yourself first *and* last. My “first” comes in the form of my automatic 401k deduction, then throughout the month, I just try and stay under budget as much as possible to give myself an additional savings boost. Just an FYI on the “Ben Franklin was wrong..” bit. Income tax wasn’t around back then so a penny saved could have very well been a penny earned. Income tax first raised its ugly head in the mid 19th century in the USA. I think as many said that the 100k has to be taken with a grain of salt. I focused on having 50k by the end of the year, and trying for the 100 in the next two (it sometimes pays to be a vagabond worker with out-of-town pay). It all starts with the emergency fund and paying yourself firt and last. The pay yourself last theory coincides with what has worked quite well for us. Being self employed, I have an extremely variable income. So paycheck to paycheck doesn’t apply to our situation. Monthly payments don’t really apply like they do normally either. When we get paid, at whatever interval, it goes in a “bucket” When we have an expense, we take money out of that bucket. The goal is to continually increase the size of that bucket. The key isn’t to increase the size at the beginning of the month, but to have it show an increase at the end of the month. With this view, it becomes second nature to realize the actual cost of things. I could care less about monthly payments. They are a hassle. I look at the actual cost, because I have to pay for it out of the bucket. Since we do not have regular scheduled pay, regular scheduled expenses don’t help me, they throw me off. This thinking then forces me to eliminate as many monthly obligations as possible, because they are a pain to track. When you pay yourself first, it is true you are saving money and that is good. But you then have little incentive to save any of the rest. When you are are on an irregular income like we are, you tend to look at all expenses as reducing the value of your bucket, rather than the remainder of a paycheck that you are free to spend. It works for us to pay ourselves last. I’m glad to see the pay yourself last suggested as that’s what I’ve just moved to… kind of. I just changed things so that half of my paycheck goes into checking half of my paycheck goes into savings. Traditionally I’ve budgeted about 1/3 of my take home pay to go into savings. So it looks like I’ll have to withdraw some money every month around the time the credit card bill is due. I’m hoping this helps me save more however; I had a surplus before, and now that surplus stays in savings as opposed to in checking begging me to spend it. Secondly this forces me at the end of the month to acknowledge just how much my spending habits have gone up from the last month. If I have to bring back $200 one month for to pay the bills then $500 the next I am forced to account for this. When I saw this title, honestly, I was expecting something wayyy out there like… letting it “mellow” if you know what I mean. Which I do by the way… and let me tell you. I’ve actually calculated this and I have to clean my toilet LESS often then when I don’t let it mellow… I think it has to do with the PH of the water or something. *shrugs* Sorry to gross everyone out. That’s an excellent list. As I am new to saving (a horrible admission) I have found that it’s just best for me to have the money taken out automatically. Right now, because my mindset is still “getting there”, it’s best if Vanguard just picks my pocket each week. That way, it’s done and I don’t have any excuses. In a sense I guess I’m paying myself first because I know the money’s being taken out each week and I budget for it. From what Rob is saying, I guess the idea of paying yourself last is really that you should do what works. If trying to pay yourself first isn’t working and you’re not saving any money then try something different. Like paying yourself last. Me, the thought of saving Â£100k is beyond overwhelming. I’ve never saved for anything specific, or to reach a specific total in my life. But the idea that the first bit is the hardest and so you should break it down into smaller chunks is an excellent one. I love number 8. Assuming I’m reading it right, it’s like thinking that if I saved up Â£13k, I could have paid-for oboe lessons for the rest of my life. It’s a great way of splitting up retirement goals. This is exactly my issue. While I know what I should be doing, I have been having a hard time making that emotional leap – to see money differently, so I can reach my goals. This is a great post. Thanks! I tend to think in the same way as Philip in #11. I never really consider my gross income; it’s purely take home pay. When I first began reading this site I was actually getting pretty bummed out trying to figure out how I could *ever* save as much as recommended while paying my bills and trying to go to school. It took me a bit but I finally realized – I pay 15% to my 401K every month. I never even really considered this as savings, to me it’s more of a necessary retirement tax, the idea of not doing it is totally foreign to me. Because of that any savings I do tends to end up in the “Paying myself last” category. I usually don’t have much money at all left over after bills so it becomes a game to see if I can not spend the money budgeted for clothes or entertainment in order to “make” money that month since I only consider savings as my earnings (not my retirement account) and it’s definitely fun to make your earnings go up! is he talking cash only or does this include retirement accts as well? Another mental trick I do with saving vs. spending is thinking about my money in future dollars. At 10% return your money doubles about every seven years. So the $100 I’m not spending now is really $3,200 I’m giving myself in 35 years. I had the exact same thing. My net worth climbed up to about $98,500 earlier this year and I thought I was on the cusp of cracking that sixth digit. Then vet bills chopped my emergency fund down by $3000 and the stock market tanked. Unless the markets bounce back there’s no way I’ll hit $100,000 this year, which is pretty disappointing. I’ve always sort of paid myself last, but the thing is that I always save about the same amount regardless of my income. It was only when I started paying myself first that I really started saving. I still end up with about the same amount left over each month, the difference is that I’ve already put away 20% of my paycheck. I’ve tried to increase my end-of-the-month savings and it doesn’t work. That’s when saving becomes a chore, when I’m constantly worrying about spending too much. If anything, that leads to therapy shopping. When the money is already taken out of my account, it’s completely painless. We pay ourselves first and last. Retirement comes out automatically. We don’t even see my hubbies until the end of every quarter when we get a statement. Mine is an auto withdrawal from our checking account. But then once our bills are all paid at the end of the month (begginning of next month), whatever is leftover in our checking becomes our ‘savings’. I love this money. I get an emotional thrill from being able to tell my hubby that I transferred over X dollar amount to our short-term savings. Sometimes (usually toward the end of the month) I will even hold off from shopping just so I can have a bit more to move to savings. It’s funny I have a friend who has been consistently saving for retirement for a long time and he said the same thing “the first 100K is the hardest.” I thought he was teasing me but I guess it’s the truth. I like that BW #17… I put together a simple calculator to illustrate the point. If anyone likes the idea or has suggestions, I could enhance it, perhaps with a breakdown of your monthly expenses, so you don’t have to calculate them. (And making it handle more than just numbers in case someone types in a $ or ,). I also used 1800 hours because it divides into 12 nicely, but the theoretical work year is 2080 hours before PTO comes into play. J.D. you stole my thunder! I was going to suggest paying yourself first and last. I have money automatically set aside every paycheck AND, at the end of the month, I put any budgeted money that wasn’t spent into savings, too! Its fun to see how much I can save that way. I think that J.D. hit the nail on the head. As long as you pay yourself somehow, you’re doing something right. Most people don’t get around to paying themselves ever, so consider yourself a step ahead of the rest. Saving by any which way possible is the philosophy that I’ll live by. Another vote for paying myself first AND last! I have 20% of my income automatically put into my 401(k), and part of the advantage of paying myself first here is that this savings is from pre-taxed dollars. Then I try to stay under budget with the rest of my expenses, and everything left over goes into savings (I take my Roth IRA contributions from there, too). $100K may seem out of reach, but it’s amazing how fast you can get there. I started contributing to a 401k in 2000. Was laid off for about 8 months in 2004. Have a new 401k with my current job that did not start until late 2005. Total for my two accounts is over $100K (even with the market downturn) and I have never contributed more than 15% (my first employer matched up to 6%, and I have no matching currently). I have never missed that money since I never see it. As a kid fresh out of college with his first job, that 100k mark seems ridiculously daunting. How am I going to keep a job for the next couple of years, let alone invest towards something like that. Especially when inflation and future tax rates are going to be difficult obstacles on my path towards a bright savings future. Maybe I’ve been reading too much of mish’s global economic trend blog, but I am cynical! Wow, great discussion! I agree that saving $100K seems like a huge accomplishment. I’ve had my $401K funds taken out of my pay before ever seeing the money for years. Another thing that I’ve done outside my full-time job is start a business as well as begin delivering pizzas at night. As a college grad and former AF pilot, I had to eat some humble pie while going in to fill out the application, but I was surprised how much money could be made. I also have total flexibility of schedule. Believe it or not, the largest pizza chain (I work for them) even has a 401K and medical benefits!! I’m socking away 25% into my 401K with them and using the other 75% and my tips to accelerate our debt reduction and emergency fund growth. Joe, you make saving sound so dreary! It may be for most but it doesn’t have to be so, which is the point that the author of this article makes. Personally I do find saving fun and immediately rewarding (just watching those numbers rise and expand). However despite it being exciting, I find that I impulse buys do gnaw at my goals, so adequate planning is definitely prescribed to overcome that. I try to pay myself every day, and make a little game of it. Every weekday, I add up what I’ve spent on miscellaneous things (a cup of coffee, some stamps, etc). If it comes to less than $10, I “pay” myself the remainder. So if I spend $4.30 today, I’ll transfer $5.70 into my savings account at the end of the day. Now I really think about the little expenditures, and often I decide I’d rather have that buck or two to salt away at the end of the day. On days when I spend NOTHING during the day, I put $15 in my savings account, as a little bonus. It all adds up slowly but surely. Personal one for me and hard to get past: Quit courting girls with very expensive dates such as the theatre, nice dinners, etc. Haha. There’s no right or wrong, but I certainly “get” the intent of paying yourself last. It certainly makes saving more rewarding for me. By paying myself last, I’m trying to build the biggest kitty possible, not just the minimum payment. When I pay myself first, it feels like every dollar I save is taking away from my freedom and happiness. It feels like a tax. When I pay myself last, it feels like every dollar I spend is taking away from my freedom and happiness. It feels like I really am paying myself, and that I’ve got lots of control over how wealthy I can become. Of course, the first and last payments lots of readers have suggested is an elegant middle ground. I like this post. It really shows that many of the things we traditionally think about saving can be turned upside down. Thanks! This is a great article for the basics of personal saving. I really need to work on these things. Maybe I’m weird but I don’t think of money I put aside to buy something as “savings”, my savings I have no definite plan to spend. I do set aside money for certain purchases and I do keep track of it, I just keep it in a separate column from my savings. My savings are my safety net, my nest egg, my one day I’ll retire fund… I see them marching steadily upward not taking a step back when I decide to buy a new TV. If you find these “unconventional” you have problems with reasoning, these are what I consider most basic and most common, how else do you save money? where as moderator, he deleted posts very frequently for disagreeing with him. I urge that the post by Rob Tracker be removed. The obvious purpose is to intimidate community members from participating in discussions of the substantive issues raised in this blog entry. Thanks for the sensible advices. I’ll make them work for me personally. I guess I didn’t find Bennett’s tips to be particularly novel, and I agree with most of you in disagreeing with “pay yourself last”. I’m sure that there’s a lot of individual variability, but my approach has always been: Be frugal but enjoy life. Simply being consistently and reasonably focused on minimizing spending regardless of income combined with taking the time to educate myself about the basics of finances and investing has worked well for me. I must also say that I was dismayed to see Mr. Bennett stoop to name-calling and urging censorship on this board – all because someone posted links to other places where Mr. Bennett posts frequently! I just followed the links listed listed in #56 and found that Mr. Bennett doesn’t just urge censorship of those that disagree with him. He also calls his local police, the FBI, and his congressman! I am in the process of writing a Guest Blog Entry for submission to The Digerati Life blog on the “Pay Yourself Last” concept. How about pay God first 10%, then yourself 10%, then bills?